This article was produced in partnership with the South Bend Tribune, a member of ProPublica’s Local Reporting Network. Last fall, a reporter for the South Bend Tribune asked to see the court files for three criminal cases in Elkhart County, Indiana. For reporters, such requests are routine. Unless a court file is sealed — and none of these were — court files are about as easy to access as any public records in any branch of government. Reviewing those files allows the public to assess the performance of police, prosecutors, defense attorneys and judges, and to gauge the fairness of a case’s outcome. But in Elkhart County, these requests for court files proved to be anything but routine. A judge issued orders that barred access to all police reports that were in the three court files; to all exhibits that were shown to jurors during the trials; and to all briefs filed on appeal. And that’s only a partial list of the records she denied, some in violation of Indiana’s open records law, according to the state’s appointed watchdog on access issues. The judge, for instance, maintained that the appellate briefs were attorney-work product, and therefore privileged and private. These were not drafts, however; they were completed briefs submitted to the court and placed in the file. The judge’s orders, in effect, prevented reporters and the public from seeing evidence used to convict the defendants, as well as the arguments raised afterward about whether the trials had been just. Last week, The Tribune and ProPublica published the first in a series of articles examining criminal justice issues in Elkhart, Indiana. The Tribune has been researching the project since last year, largely through public records requests to police, prosecutors and courts in Elkhart County. Obtaining those public records, however, has proved a challenge, as officials with the county court system and the city of Elkhart have presented a series of obstacles, delaying or denying access to many records that are normally considered public as a matter of course. At the same time, the city of Elkhart has subpoenaed The Tribune for records of its news-gathering activities. On May 3, a reporter for The Tribune filed a request, under Indiana’s Access to Public Records Act, for documents showing how much the city had paid outside law firms hired to defend Elkhart or its police officers in a 22-year-old wrongful-conviction case. 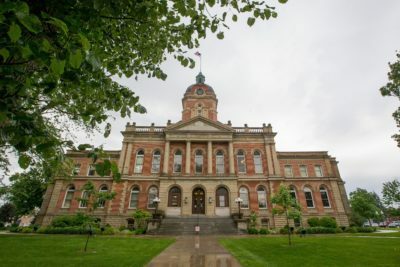 On June 1, Elkhart’s chief lawyer, Vlado Vranjes, told the reporter he expected the city controller’s office to hand the records over to the law department by June 8. Vranjes would then review the records and decide what to release. The legal billing records were kept in a box, and that box was in a storage building. When an employee of the controller’s office went to get the records, she found that boxes had been moved around, blocking her path to the box with the records requested by The Tribune. The controller’s office contacted the city’s building and grounds department, asking for a crew to help clear a path to the records. But June was an especially busy month for the building and grounds crews, with several downtown events, including the Elkhart Jazz Festival, demanding their time. No crew was available to move the boxes. In the end, the city elected to execute a workaround. The city attorney’s office contacted each of the outside law firms directly, and those firms provided their own billing records to the city, which, in turn, released them to the Tribune more than two months after the request had been submitted. The boxes remained where they were. Last October, a Tribune reporter submitted a request to the Elkhart County Clerk’s office, seeking the court files for three separate murder cases tried between 2000 and 2005. In November, the reporter followed up with a request for the exhibits shown to the juries in those cases. In late December, Elkhart Superior Court Judge Teresa Cataldo granted partial access in two of the cases while withholding certain documents, including police reports, appellate briefs and trial exhibits. The following month, she issued a nearly identical order in the third case. The Tribune responded in January by filing a complaint with the Indiana Public Access Counselor, a lawyer appointed by the governor to advise state and local government agencies on access issues. In early March, Public Access Counselor Luke Britt wrote that Cataldo had failed to comply with the state’s public records act. She should have released certain documents, including police reports and appellate briefs, he wrote. 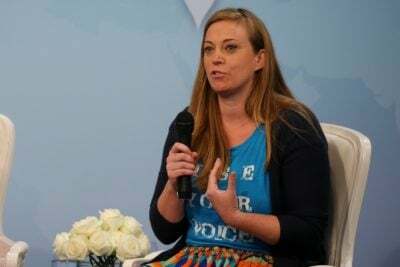 “As to those records which have not been explicitly declared confidential by statute or rule, I encourage the Court to revisit its policies and procedures to ensure appropriate access to its records,” Britt wrote. Separately, an administrator for the Indiana Supreme Court advised Cataldo that all exhibits offered at trial — even those not seen by the jury — should be disclosed upon request. Nothing in the court files, the administrator wrote to the judge, suggested any of the exhibits had been excluded from the public. Cataldo in May issued amended orders on The Tribune’s requests. She allowed access to some of the records she previously withheld, including some trial exhibits. 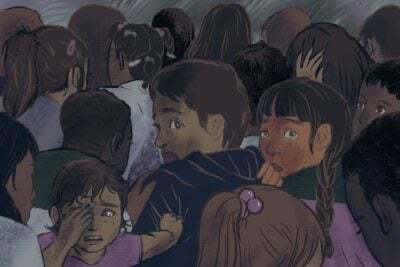 But despite the guidance from the public access counselor and Supreme Court administration, she again withheld all police reports related to the cases. The judge also denied access to certain trial exhibits. On Thursday, Cataldo did not respond to an email seeking comment. In a separate case, The Tribune asked in early May to hear the audio from a trial held in 1997. 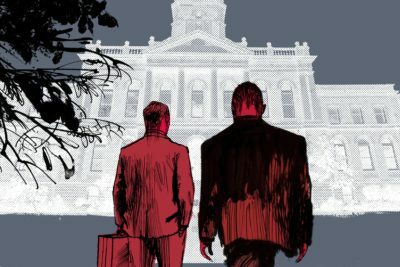 Under Indiana law, such audio is a public record. After getting no reply from Cataldo’s office for four weeks, the paper and ProPublica decided to have a transcript of the trial prepared — at a cost to the news organizations of $1,000. It’s now been three months since the request for audio was made. To date, there has been no response. For at least two police officers, the city of Elkhart failed at first to disclose disciplinary records that are considered public and must be released under Indiana law. One of those officers was Steve Ambrose, who played a role in the wrongful-conviction cases of Keith Cooper and Christopher Parish, chronicled by The Tribune and ProPublica last month. The Tribune asked for Ambrose’s employment and disciplinary records on Oct. 27. On Dec. 14, the city released portions of Ambrose’s personnel file. Its response included no records of discipline. Several months later, while reviewing the transcript of a sworn deposition of Ambrose, a Tribune reporter discovered Ambrose had been suspended multiple times during his time with the Elkhart police. 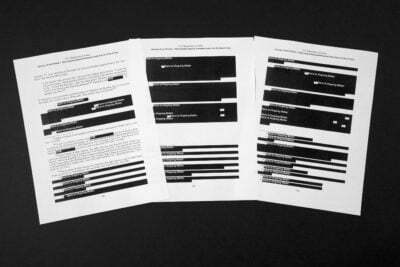 The reporter asked city officials about the missing documents on March 29. More than three weeks later, on April 23, the city provided 25 pages of Ambrose’s disciplinary records. While the city’s first response disclosed no disciplinary history, its second response revealed 10 reprimands or suspensions in nine years. 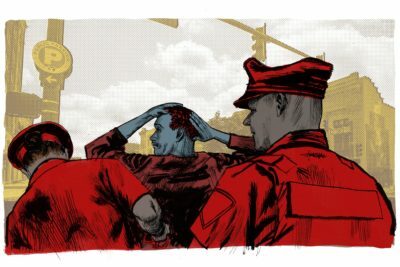 Even then, the second response did not include records of at least one incident, in which Ambrose moved a camera to prevent it from recording fellow officers during a fight with a person in detention at the police station. In depositions, both Ambrose and a former supervisor said the department suspended Ambrose for what he did. The Tribune has yet to receive any records from the city about that incident, even after pointing out the deposition testimony in which Ambrose said he had been suspended. While The Tribune has at times struggled to get records from the city of Elkhart under the state’s public records act, the city of Elkhart has used the power of subpoena to demand records from the Tribune. The city is currently being sued in federal court by Keith Cooper, who was convicted of a 1996 robbery in Elkhart. In 2017 he received the state’s first pardon based on innocence. On June 27, the city served a subpoena on The Tribune, demanding “correspondence, letters, emails, texts, memos or other documents showing any communications or meetings” between Cooper or his attorneys, and anyone from the newspaper. The newspaper responded with a motion to quash the subpoena, saying the city’s demand undermines The Tribune’s ability to report on matters of public concern. “[G]iving information, even unwillingly, to a litigant in a case the Tribune has covered” would jeopardize the newspaper’s standing among readers and sources as an unbiased provider of news, the Tribune’s lawyer wrote. So far there has been no decision on whether the subpoena will be enforced.